The stomach flu, also known as viral gastroenteritis, causes nausea, vomiting, abdominal cramps and fever. The condition spreads through contact with an infected person or drinking contaminated water, states MayoClinic.com. Though most people recover without complications from the stomach virus, the condition is more serious when occurring in infants, older adults and those with compromised immune systems. Eating correctly during a stomach virus is critical to allow the stomach to settle and heal. According to DrMHayden.com, a stomach virus typically lasts from one to five days. For the first 24 hours, a clear liquid diet is encouraged. Sugar-free gelatin, sports drinks and water are the only foods and liquids allowed. Clear caffeine-free soda is encouraged, but needs to go flat before being drunk. Watered down apple juice and tea can help. Eating ice chips is another way to hydrate. The stomach must settle and heal before heavier food consumption. If a person is continuing to feel nauseous or vomit, only small bites or sips are recommended. Eating or drinking too much will delay healing. Bland foods should slowly reintroduced into the diet as you feel better. Plain rice, pasta, toast and crackers should all be easy on the stomach. Foods should be soft and easy to digest. Spices or flavoring should not be added to food. 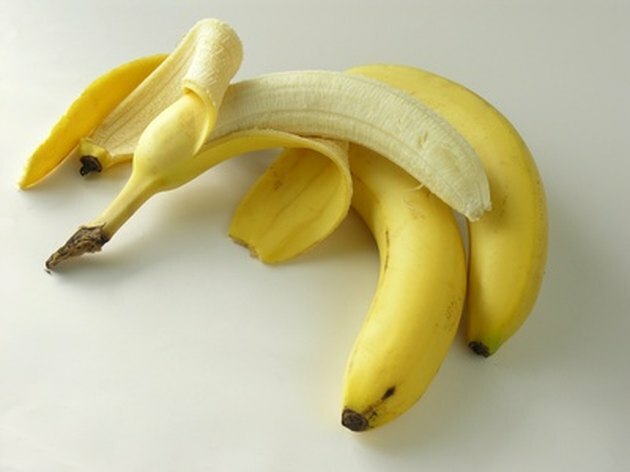 Bananas and unsweetened applesauce are good fruits to eat while your stomach recovers. Chicken can be eaten, but other types of meat should not be consumed for several days. A bland diet is recommended for about three days. You can slowly add foods to your diet as your stomach improves. When viral gastroenteritis, hits there are some foods that should be avoided. Caffeinated beverages including coffee and soda should not be consumed. Dairy products may continue to upset the stomach and cause diarrhea to grow worse. Both nicotine products and alcoholic beverages are discouraged. MayoClinic.com states extremely fatty or seasoned foods may continue to upset the stomach. If a person is unable to hold down food or liquids severe dehydration and possible complications occur. Medical attention is required for someone unable to hold down foods and fluids. What Are the Treatments for Loose Stools? What Clear Liquids Are Best When One Has a Stomach Virus?